Ever wanted to see what a real orchard looks like, or taste fruit fresh from the tree? 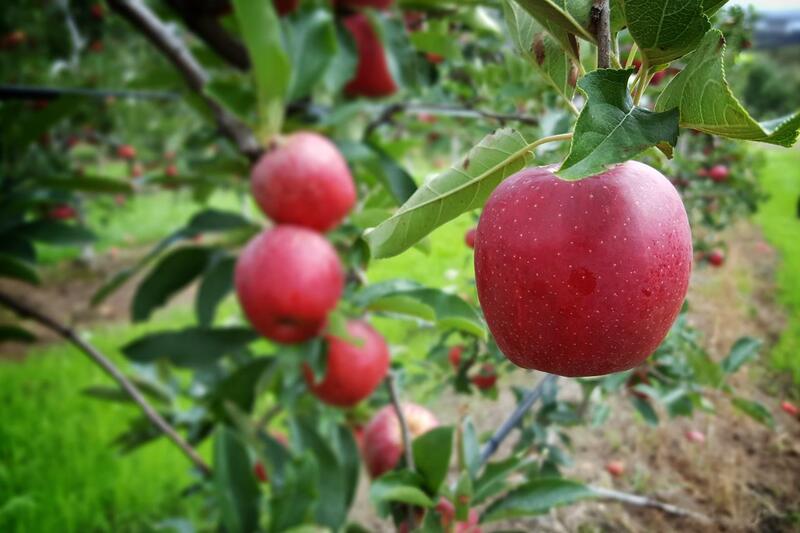 With our apple picking experiences, you can! We are offering a unique picking experience this Sunday fit for the whole family on our 4th generation family orchard. You can look forward to visiting our real-working orchard, and learn the correct way to pick Fuji apples. We suggest arriving up to 15 mins earlier than the advertised tour start time, to ensure the tour group is organised and can start on time. Upon arrival, we will greet you and take you through a brief safety induction. We will then catch a mini bus through the orchard to our fresh fruit, and have a fruit picking lesson. Once you are a qualified picker, you may pick until your heart is content. Chat with our family and friendly staff, and learn about fruit growing and harvest. There will be great photo opportunities, so be sure to pack your camera! You can eat as much apple as you can whilst on this tour but fruit picked to take home will cost $4 per kilo this weekend. (Fruit costs do vary throughout the year and reflect market pricing. This price is only valid on this Sunday 11 Feb 2018 for participants of this activity). Get orders from friends and pick even more! Our experiences run in most weather conditions, so make sure you bring weather appropriate clothing (it can be wet or hot even when not forecast), closed in shoes, and your camera for some happy snaps! If you have any questions, please don't hesitate to call us between 10am and 4:30pm everyday on (02) 4294 3421, or visit us in person at our orchard shop 'The Apple Shack'.